Landscape Baton Rouge, LLC gives you more time to enjoy your home and focus on what really matters by taking care of all your outdoor needs. Let us keep your residential and business lawns looking their best with our company's expertise. We understand the value of curb appeal and guarantee professional and attractive service each and every time. Clients include large, private estates, law offices and multiple businesses on Highland Road (70808-70810). 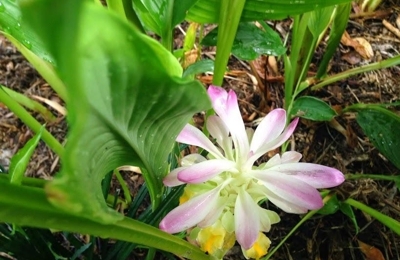 We are licensed in the State of Louisiana to perform horticultural services (LH4138). My wife and I could not be more pleased with the quality of service and professionalism we received from Barron and the entire Landscape Baton Rouge crew. I put in a request for a quote with several other landscape contractors and Barron was the first to respond and was eager to help us out. Barron and his guys installed a paver patio for us and we had all sorts of questions and he took the time to answer all of them and even came up with the patio design. I highly recommend Barron and Landscape Baton Rouge and will certainly use them again in the future. I like how prompt Landscape Baton Rouge is when I am on the schedule for my lawn to be mowed. I had one instance where the guys rushed to mow the lawn. I spoke with Barron, and he told me he would talk with his guys and make sure it didn't happen again. But I really do enjoy speaking with Barron when we do communicate. He is very personable and tries to satisfy his customers. I will definitely continue to use them because overall they aim to satisfy. I haven't received nothing but excellent service. They are always on time and do a great job cleaning up afterwards. I recommend these guys to everyone that want great customer service and outstanding landscaping done to your yard/garden, and that isn't all, they can do various projects. Give them a call, you won't regret it!!! I guarantee!!!! I've been very happy with Barron and his crew. They have been mowing my lawn in the Garden District for a few months now and I've had no complaints. They are quick yet thorough in mowing and trimming, and in the colder months they also pick up and bag leaves. I'd recommend these guys to anyone in the BR area looking for professional lawn care and other landscaping needs. Great Landscaping & Lawn service company...always pleased with their services! This is handsdown the best in town! If I need to define them in one word – true-professionals! 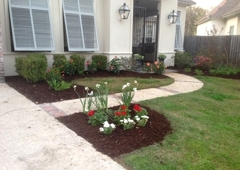 I am very much happy with their landscape services! I've been working with Barron and his team for about 6 months now. They've helped me with everything including drainage, sodding, mulching, and on-going lawn care. I've have been very satisfied in all aspects and would highly recommend them to others. Would definitely recommend Barron and his crew. They take care of a couple rental properties for us in Mid City. We have virtually zero complaints from the renters since they have taken over. It is a great stress relief knowing they will come and do what they say, when they say. Finally a landscape crew in Baton Rouge you can depend on. This crew shows up and works....and does a great job. Barron is professional, dependable, and trustworthy. I recommend him all the time and he's super nice! His team really takes great care of my lawn. I'm so glad I found him! Landscape Baton Rouge LLC is by far the best in Baton Rouge, Barron is easy to get a hold of, easy to talk and plan with and willing to work with all budgets! I highly recommend them! Baron is a hard working young man who takes pride in his work. He is polite, knows his craft and gives the homeowner a good result at a fair price. I will be calling on him soon for a "spring cleaning". Great Experience every time. Baron takes great pride in the work he does and it shows when he is finished making our yard look great. It's the little extras, like cleaning up broken limbs and cutting up big ones to set by the curb. He is polite, easy to reach, and is reliable. Great service! Landscape Baton Rouge did a terrific job for us late last summer, 2014. I found them very knowledgable, friendly and efficient....a pleasure to work with. They worked quickly and cleaned up what was a considerable amount of debris from major trimming. I highly recommend them. What Do I Do When My Sprinklers Are Leaking?